In terms of amazingness, these fudgy brownie cookies go head to head with their bar counterpart. Especially this month of hearts and chocolate. 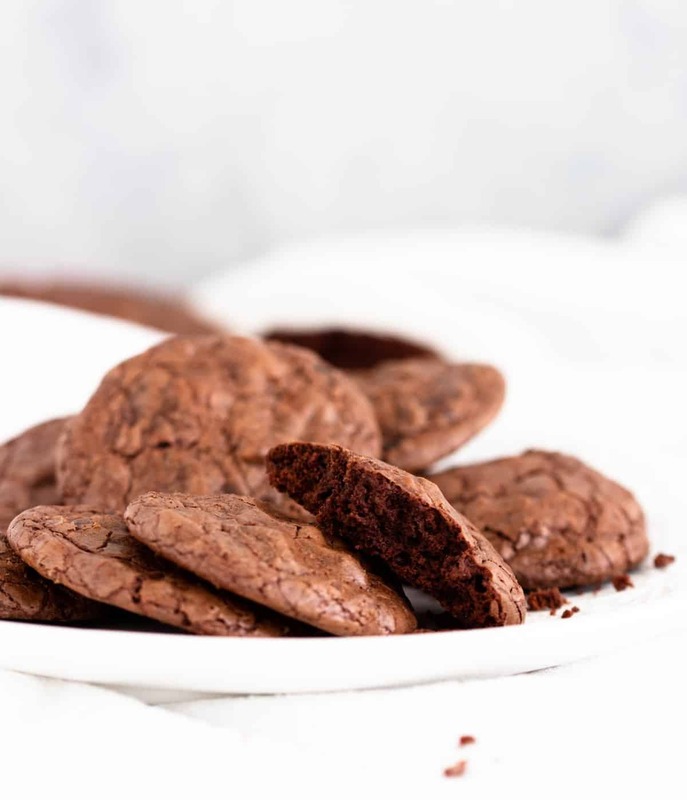 Fudgy chocolate cookies. Another title for an insanely delicious recipe. I believe one can never have too many brownie recipes. There are so many combinations and subtleties and ssoo many things you can build on a brownie base. Well, chocolate cookies fit that category too. 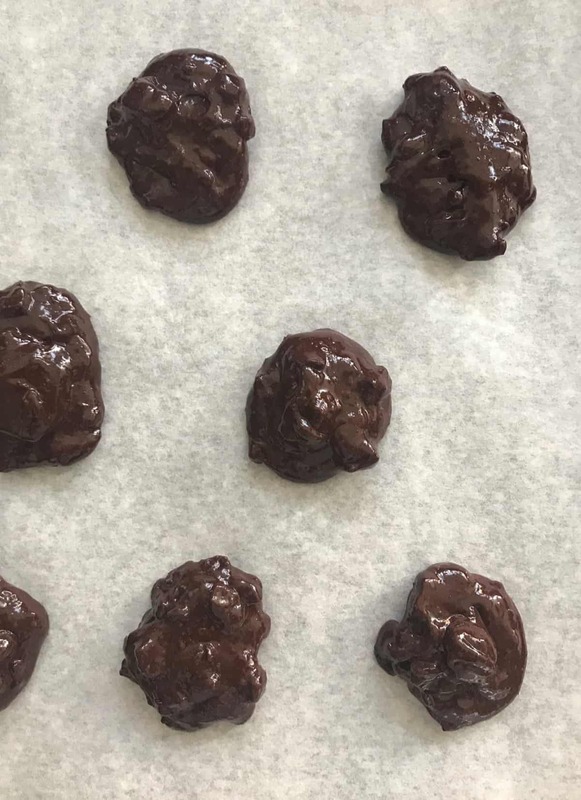 I’m a long time fan of the chocolate whoppers, a vintage recipe that will stand the test of time because they are SO good, I believe these come very close. Almost head to head. 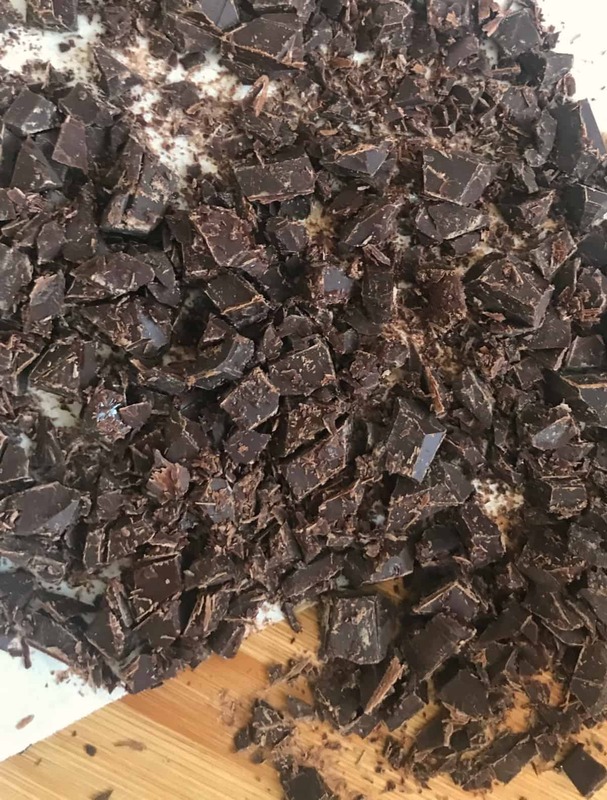 What semi-sweet chocolate is good for baking? As with most products, great chocolate makes for a great cookie, or cake or brownie. I like to buy a chocolate block and chop it with a kitchen knife. I especially love that the pieces are irregular and there are shards too. I hardly ever use chips. But very good quality semisweet chips can be used in this recipe of course. 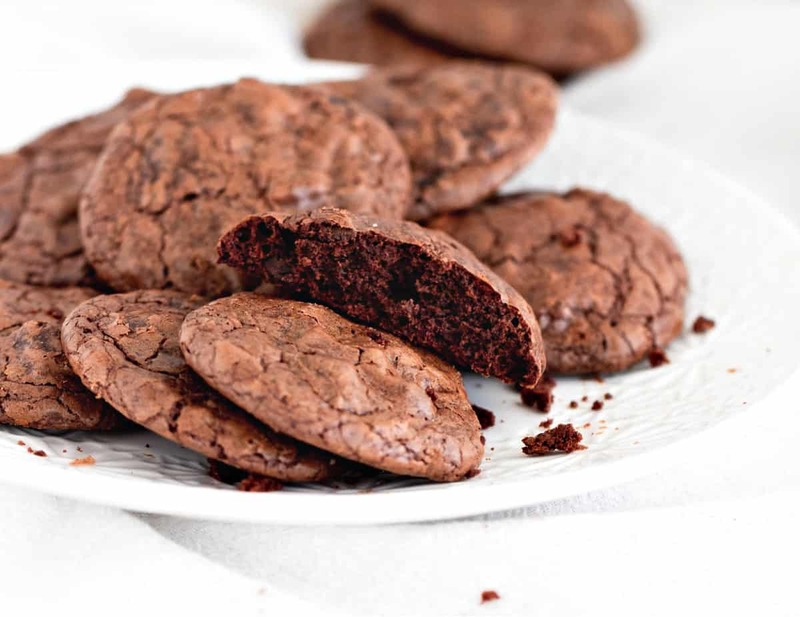 As with brownies, the secret to fudgy chocolate cookies is not baking them more than needed. A good idea – with this recipe or any other cookie for that matter – is to test a few first and see which one you like best. Put a timer and take them out of the oven one at a time at different times. A few minutes make a huge difference in a cookie since they’re small. I eat them when they are soft but slightly puffed. And they keep well. You can also make them thinner, underbake them a tiny bit more, and use them for the best chocolate ice cream sandwiches ever! They’ll turn out quite soft, perfect for biting without making a mess with the ice cream. You will love them because they are easy to make, versatile, fit for fillings (try them as a sandwich cookie with dulce de leche and go to heaven!) and with a great chocolate flavor. They disappear fast every time I make them. You’ll not be disappointed, at all. Insanely chocolatey cookies. Use a good 70% chocolate for best results. Preheat the oven at 350ºF / 180ºC. Line baking sheets with parchment paper. Reserve. Melt HALF the amount with the butter. You can do it in the microwave at 5-10’ spurts and mixing it every time, or over a bowl with hot water careful that the bottom of the bowl doesn’t touch the water. Beat eggs with sugar, vanilla, and coffee in another bowl for 2 minutes, until light and foamy. Add melted chocolate to the egg mixture, together with flour, salt, and baking powder. Mix a bit and add the rest of the chopped chocolate. Mix until all is incorporated and no streaks remain. Drop by teaspoons onto the prepared pans and bake for about 10 minutes. They should be shiny, flat and a bit crackled.